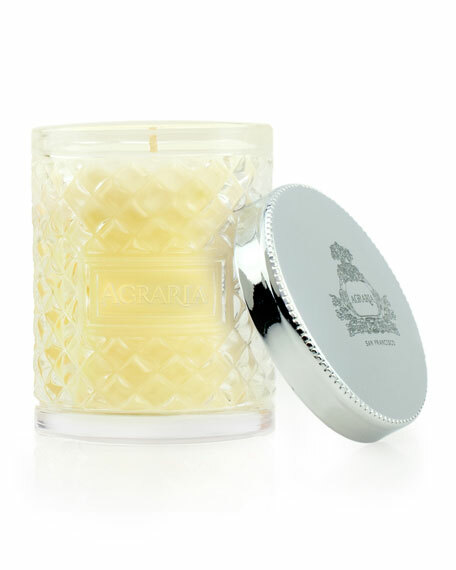 Agraria Bitter Orange Crystal Cane Candle, 3.4 oz. AgrariaBitter Orange Crystal Cane Candle, 3.4 oz. Exquisite new packaging and now in a petite 3.4-oz size (96g), the new crystal cane "petite" have a burn time of approximately 25 hours. Available in all 8 Agraria fragrances.